Natural Stone Countertop Cleaning Tips…and Some Helpful Hacks! 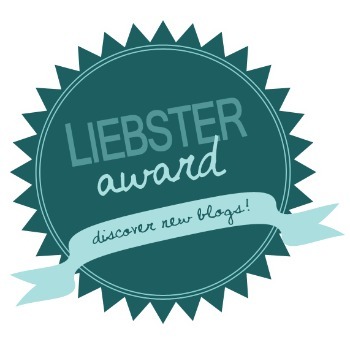 – A Guest Post! One of the items to do on our never-ending list of home improvements is to remodel the kitchen. I LOVE my kitchen as far as openness and space is concerned, but our house is 14 years old, and the cabinets and counter tops are the original builder’s grade. They’ve taken a beating. There are several places where the cabinets are splitting, and several spots on the counter tops that will just have to stay deformed until we redo everything! I’ve been building an idea book over on Houzz (CLICK HERE TO SEE IT) full of different kitchens that have little touches I’m interested in, and of course, counter tops are a big deal! So when Pheeby from Shiny Carpets Shacklewell contacted me to see if I would be interested in a post about cleaning natural stone counter tops, I was all about it! AND she’s gonna share some hacks! Let’s check it out! Natural stone counter top is an investment which deserves to be made. It can make your bathroom and kitchen look exquisite, elegant and stylish. To keep your natural stone counter top in good condition, here are some cleaning tips and helpful hacks you can use. They will help you maintain your counter tops for a long time to come. Natural stone counter tops need the same cleaning procedures that fine wooden furniture needs. Don’t spill drinks on them, because most drinks are abrasive and will damage your counter tops. If you make any spill on your natural stone counter top, clean it immediately. Soda, alcohol, juice, ketchup, vinegar, mustard, perfume, rock salt, shampoos and most chemicals have abrasive ingredients in them, which can damage the surface of your counter tops, creating scratches and stains. All abrasive products and liquids, which contain acid or alkali, will damage your natural stone counter tops. Granite is the hardest type of natural stone, appropriate for counter tops. Only the diamond have as much steadiness and resistance as this kind of natural stone. Granite is very resistant to scratches, stains and heating. Marble is another good option you have; it’s affordable, easily maintained and adds style in your home. To keep marble and granite natural stone counter tops in clean and flawless condition, here are some cleaning tips you can use! Place cup holders under all your glasses to keep your counter tops clean from stains. Check if your marble or granite counter tops are sealed, before applying any cleaning product on them. Use clean sponges, towels and cloths when cleaning your counter tops and replace the old cleaning cloths with new. Don’t apply scouring powder, cream or any cleaning product which contains abrasive ingredients. Lemon, vinegar and acids can also be dangerous for the surface of your counter tops – they will make defects and damages on them. You can use milder cleaning products or specially designed detergents for natural stone counter tops with warm water. Check the ingredients of each product you choose before applying it. Soap and cleanser can leave stains, streaks and marks on your counter tops, so avoid cleaning with them. Change the water you use for rinsing more often. After applying the necessary cleaning products, rinse your counter top well and dry it with a soft cloth. Maintain your natural stone counter tops by removing the dust more frequently, as it appears, using a soft towel. Dry and soft cleaners as well as cleaners for bathrooms, grout, tiles and tubs are abrasive and aren’t appropriate cleaning products for your marble, granite or other natural stone counter tops. Natural Stone Countertop Cleaning Tips…and Some Helpful Hacks! Put stands on your counter tops under every glass you place, to protect them from spills. Most spills can damage their surfaces, that’s why they should be cleaned immediately. It is advisable that you use an absorbing cloth to gather all the liquid, protect your counter tops from blotting and making more stains, dirty marks and scratches. Apply a pH neutral cleaner on your counter tops, which will provide successful cleaning, without damaging their surface. Place stands under all hot pans, plates and dishes to avoid spoiling your counter top or leaving marks on it. They should be used under all ceramic, china and silver utensils. You should seal your natural stone with impregnating natural stone sealer to stop stains from penetrating in the stone’s pores. Hire a professional to do this work. It is recommended that you seal your natural stone counter tops every year to keep them protected. This way they will last longer and be in a better condition. Thanks, Pheeby! Wow! Now that I have all of this information, I will definitely be able to make the best counter top decision! Who knows, I might just stick with the laminate! What kind of counter tops do YOU have? What do you love or hate about them? This entry was posted in Cleaning, DIY Project, Home Decor and tagged Counter Tops. Cleaning, Granite, Marble, Natural Stone, Stone. Bookmark the permalink. ← The Ultimate Dad’s Guide to Christmas Lighting – A Guest Post! Granite does make a beautiful surface. Owning a residential cleaning business for the last 17 years has provided lots of natural surface cleaning ‘opportunities’ for me. The safest cleaning product we have used in the kitchen is simply dish soap. We make soapy water in the sink and be sure to rinse. You can actually also then polish the surface with a clean dry soft cloth after it dries to remove any streaks. You have a beautiful kitchen. 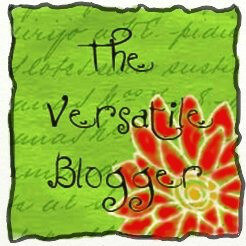 #ultrablog We remodeled ours too. 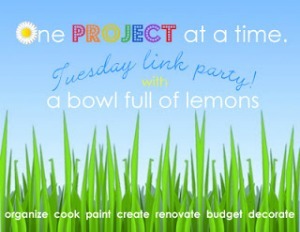 Do you have your Linky parties on Fridays? Hi, Janice! 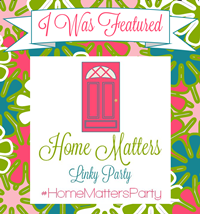 Our #homematters linky party begins at midnight EST every Thursday! We’d love for you to come and join us! I am definitely ready for a kitchen upgrade. I love how big my kitchen is but I want a floor upgrade. We have the stone counter tops so this was a big help. Beautiful kitchen and awesome tips to how to clean a natural stone countertop, good to know Thanks for sharing these tips! I had my old laminate counter tops replaced with granite about 5 years ago. I love the granite and it holds up so well. I like Quartz, too. Now I need to update my oak cabinets. I just can’t decide on the color. Great tips Kristen ! I normally use dish soap to clean counter tops though ours is not natural stone. I love the look of stone counter tops. I’m glad I don’t have laminate anymore. I really need to seal my granite tops. Thanks for the reminder! I have always wished for stone countertops, but I was always worried about keeping them clean. Saving this post for when I finally get my dream counters! I only wish I had stone counter tops! This is really great advice for those who do or for those who are thinking of getting one. My mom however, has soapstone and it’s so beautiful! I’ve not heard her complain about it being difficult to keep them clean, but I’ll forward this article to her anyway. We have cheap counter tops. WE used to have fancy stone counter tops and they were so beautiful but then we moved. I do not have a nice countertop like that but I truly envy it. It is so pretty! I WISH my counters looked this good! I definitely need to declutter and get my counter tops scrubbed like this! I hate cleaning the countertops but I hate looking at them when they are not clean even more. These are some great tips. That is so funny! I just bought a new cleanser for my stone countertop to review. Hope it works! My dream kitchen hahaha I love the granite counter top easier to clean and less messy. Thank you for this cleaning tips Kristen. I’m a cleaning freak so this is really a great help. I have a laminate counter top. I like how easy it is to clean. I would love to upgrade to granite. I just remodeled my kitchen this past spring and it actually now looks a lot like the one in this picture. I have a bigger island but the granite, flooring and cabinets look pretty darn close. I use a special cleaner for my granite and I do have it sealed and will have it sealed every year. Thanks for these tips. This is so good to know. I love natural stone countertops but they’re sometimes challenging to clean properly. Great tips! Oh how I am wishing I had such gorgeous counter tops! Maybe one day! Such amazing hacks, these are some things I really should try doing myself! Ohhh I’m so jealous of these beautiful countertops and kitchen! I have the type of counter top that comes in a two bedroom apartment. 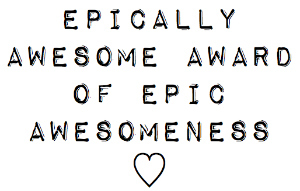 I use good old dollar tree cleaner called awesome. I love the look of granite and marble. We don’t have either so we just use Clorox wipes to clean them. I definitely need new countertops. I would love to have that kind of countertops. Natural stone countertops are a nice investment, and something that should definitely be taken care of. Thanks for the tips! We have talked a lot about switching out our counter-tops and maintenance is something we have wondered about. We are going to re-model our kitchen in about six weeks, so I am pinning this for future use since I am highly considering this kind of countertop! I love the way it looks. Your kitchen looks so beautiful. These are great tips to clean a natural stone counter tops. I need to seal my granite counter tops soon. Thanks for the reminder as well. I could have used these tips in my last home! I’ll save them for when we upgrade. Those are great tips. I also use dish soap usually.